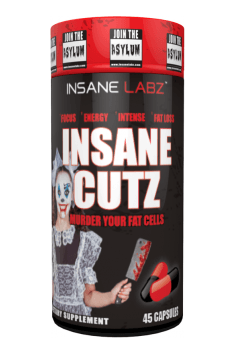 Insane Cutz is a state of the art fat murdering supplement designed only for the advanced user. Insane Cutz can increase energy, fat loss, and lends a thermogenic effect unlike any other product on the market. If you have tried our other products, you know the Asylum is true to its word. Buy it Now and thank us later! Do not exceed 6-8 weeks of treatment. Take care of adequate hydration and do not combine with other stimulants. Dandelion (Taraxacxum officinale) is a common weed occurring in the temperate climate zone. The raw materials of medicinal are root (Radix Taraxaci) and flower (Flos Taraxaci), rich in active ingredients (phytosterols, insulin, pectin, organic acids, choline, mineral salts - the root, flavonoids, carotenoids, triterpenes, reducing sugars, essential oil - in flowers ). It has diuretic properties, promoting processes of reducing body fat, removing excess fluid from the body and the overall impact on the operation of the digestive system. Sensitized to insulin. Used as a component in supplements to reduce body, fat burners and diuretics. With long-term use, it should be supplemented with electrolytes. In the sports supplementation known as Dandelion Root.